Locksmith services provided in Port St Lucie FL, Stuart FL and Fort Pierce FL. 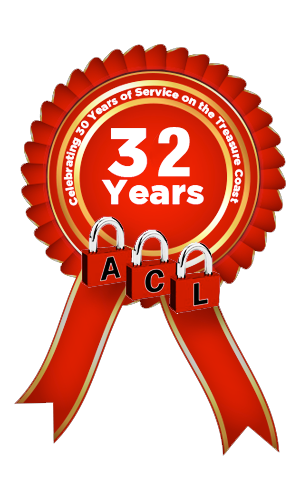 | All County Lock & Key, Inc.
key duplication, new lock installation, and more. No subcontractors! We are specialized and highly trained in modern security elements for residential, commercial, and automotive. Find the best Locksmith in Port St Lucie and surrounding communities at ALL County Lock & Key, INC. Find a larger, higher quality selection than the competition along with 5-star customer service! For nearly 30 years, we have provided our customers with fast, efficient, and affordable residential, commercial, and auto locksmith services. Our technicians are continuously undergoing the latest training techniques to keep up to date with the latest tools and systems in our market. Locked out of your car? Has someone tried to break in your home and you’re afraid they will return? Call All County Lock and Key and our professional radio dispatched technicians will arrive shortly to assist you. No matter what the reason, we will provide you with a level of service that is unmatched. Thank you for visiting our site. If you have any questions regarding our products or services, please give us a call! We look forward to serving you! The Swift dispatch and arrival of our technicians so your life can get back in motion as soon as possible. Professional and expertly trained technicians both on dispatch and in our store so that you may feel confident and safe with your choice in us. Availability: vigilant around the clock, our technicians are ready to be dispatched to any location in Port St. Lucie and Stuart, Fl. 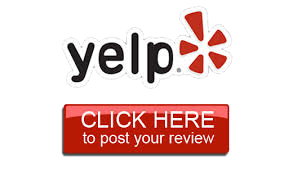 The best locksmith service you can get for your dollar in Port St. Lucie or Stuart, Fl. 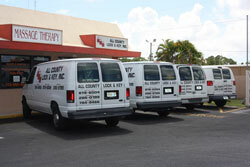 All County Lock and Key Inc.
"Only Locksmith in Port St. Lucie with a SHOWROOM and a MOBILE WORKSHOP!"